Much has been written here about the history of Hasankeyf and the glories of its natural surroundings, but what of the very fabric on which the city stands and from which it has been hewn? The geology of the site is in fact one of its most striking features. As one approaches Hasankeyf, before even the citadel or other monuments are distinguishable, the sheer face of creamy gold limestone rising up above the Tigris and capping the nearby hills is impossible to miss. The so-called Midyat limestone dates from the Lutetian age in the Eocene epoch; that is, between 40 and 48 million years ago. The limestone itself, while not particularly fossiliferous, does contain nummulites (large lenticular fossils, perhaps best known for the role they played in ancient Egypt, where they were for a time used as a form of currency). These fossils indicate that the limestone was deposited during a period when the area was submerged below the waters of an ancient sea. The geology is important, too for the way in which it was exploited by the earlier inhabitants of Hasankeyf, who enlarged and added to natural caves to create a veritable city, carving out tunnels, stairwells and cisterns; exploiting natural features to provide secure homes and access to water and/or the river from the city. And of course the very monuments of Hasankeyf itself were carved from the limestone close to hand, creating a deep sense of harmony between the city and its surroundings. Reaching the top of Ra's Tibbah, the largest of the three hills surrounding the Lower City of Hasankeyf, Nwenar Fatih exclaimed, "This place is perfect!" 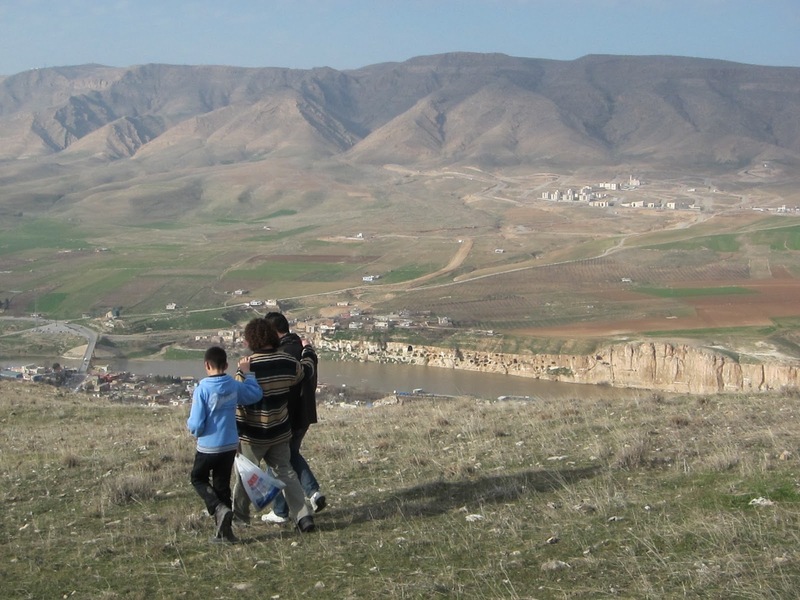 Nwenar is the Upper Tigris Waterkeeper in Iraq and has been visiting Hasankeyf with colleagues as part of the groundwork for the Nature Iraq's Tigris River Flotilla Project. Hasankeyf has everything you could possibly want for a strong and profitable ecotourism program. In Nwenar's words, "It's all here -- trails, water and civilization." We had started hiking four hours earlier, passing through the medieval Hasankeyf suburb of "Kasimiye" on a rambling walk that took us to Gunfa Springs, a cave mosque in the Zih Valley and then a moderately steep climb to the top of Ra's Tibbah. Ghaowur Valley is short, but we spent at least an hour there picking the edible pırpızek flower and sampling mustard (hardal in Turkish) and other bitter herbs (such as humayyif, in the local dialect of Arabic). Note for our botanist friends: We would be deeply grateful for any help you can offer with the Latin names. Kurdish and Turkish variations also welcome! 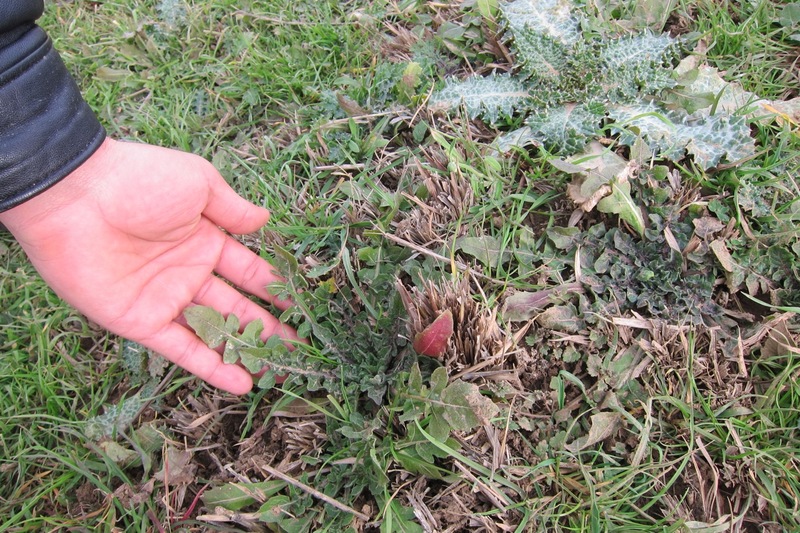 Fırat Argun, who runs Hasankeyf Hasbahçe Bed and Breakfast, explained that humayyif, used in soups and salads, is good for the blood. By itself, fresh humayyif (or "sour grass") is very pungent, but it's lovely when eaten with mustard greens. The small iris-like pırpızek flower has a sweet, oniony flavor. As for the dandelion-like ıstrızelk, you have to wash and cook it. It makes a delicious side dish or can be scrambled with eggs in place of spinach. is a popular spring delicacy in Hasankeyf. 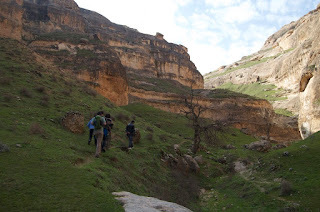 As we climbed toward the top of Ra's Tibbah, we crossed the canal that delivers water from the mountains to Hasankeyf's Salahiyye Gardens and found a healthy patch of tuzuk. Necdet Talayhan, our tireless guide to the history, archeology and botany of Hasankeyf, noted that tuzuk (similar to watercress?) is good in salads. We continued walking across Ra's Tibbah toward the "Time Tunnel" leading back into the center of Hasankeyf. The view from Ra's Tibbah is always exhilarating, but also troubling. Once back at Hasbahçe, Fırat and Emre prepared a hearty lunch of trout and salad. Ellerine sağlık! So there you have it. A typical sunny Saturday in Hasankeyf. Before you come, be sure to call Firat (+90 530 929 1527) and reserve a room at Hasbahçe.